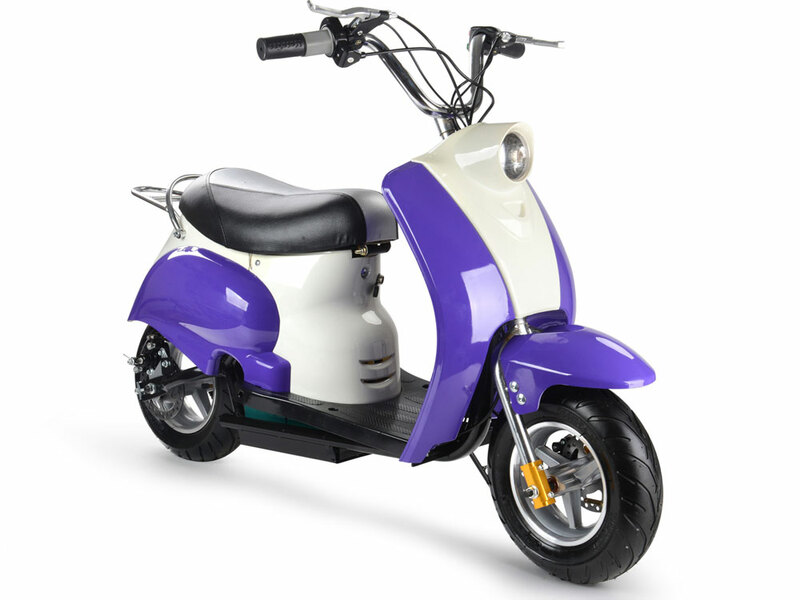 The MotoTec 24v Electric Moped Purple is the ultimate kids ride! Great for driveway and parking lot fun, cruise around cones and speed through trails with ease. 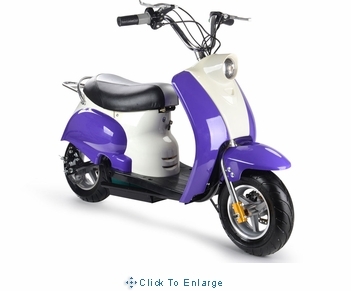 Comes standard with front & rear disc brakes and large 11 inch pneumatic street tires. 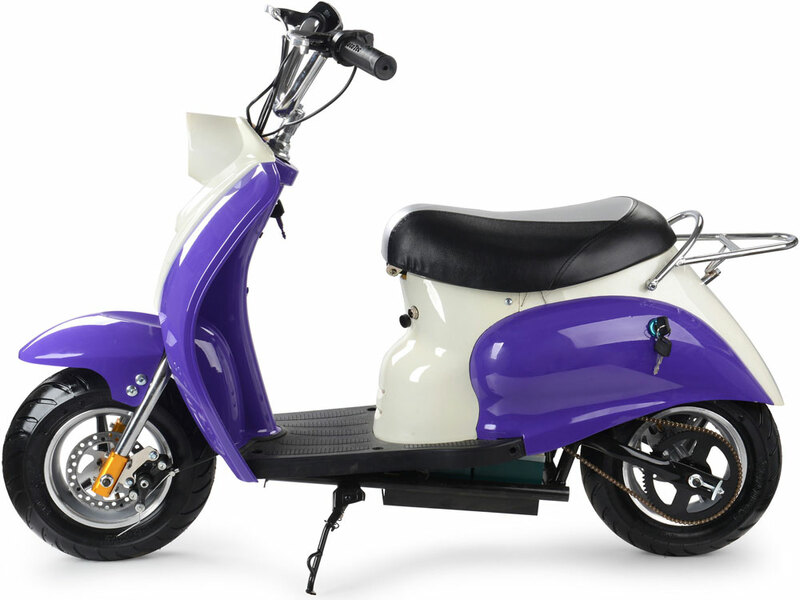 This moped provides longer ride times than the competition with TWO large 12v 12ah batteries. 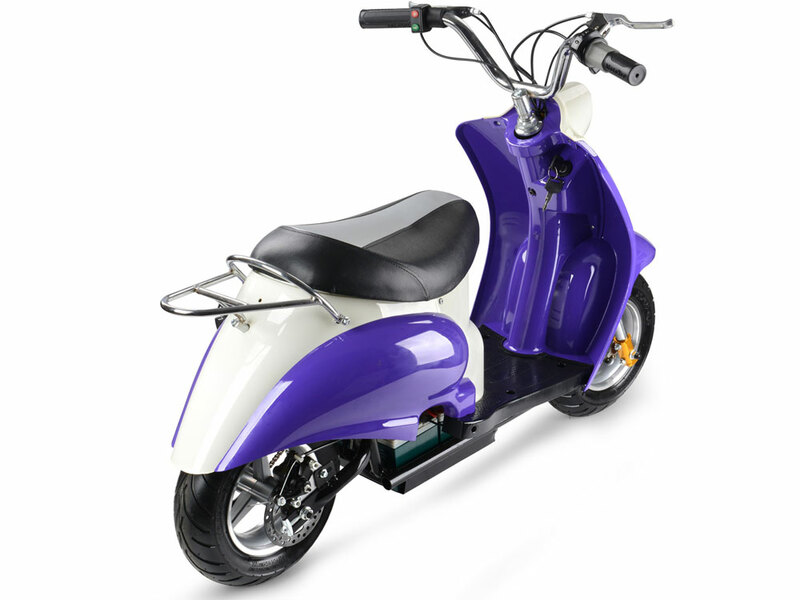 Under seat storage, rear luggage rack, key start, battery meter, horn and front headlight!